At Bempton Primary School we are very fortunate to have a supportive and friendly parent body. Our parents recognise that educating children is a process that involves partnership between parents, teachers and the whole school community. As a partnership our parents will understand the importance of a good working relationship to equip children with the necessary skills for adulthood. For these reasons we continue to welcome and encourage parents/carers to participate fully in the life of our school. The purpose of this guidance is to provide a reminder to all parents, carers and visitors to our school about the expected conduct. This is so we can continue to flourish, progress and achieve in an atmosphere of mutual understanding. Respect the caring ethos of our school. Correct own child’s behaviour especially in public where it could otherwise lead to conflict, aggressive or unsafe behaviour. Approach the school to help you resolve any issues of concern. Disruptive behaviour which interferes or threatens to interfere with the operation of any area of the school grounds. Using loud/or offensive language or displaying temper. Threatening to do actual bodily harm to any other person on school premises regardless of whether or not the behaviour constitutes a criminal offence. Abusive or threatening e-mails or text/voicemail/phone messages or other written communication. Approaching someone else’s child in order to discuss or chastise them because of their actions towards their own child. (Such an approach to a child may be seen to be an assault on that child and may have legal consequences). Smoking and consumption of alcohol or other drugs. Should any of the above behaviour occur on school premises the school will implement action in accordance with the Abusive Parents Policy and may feel it is necessary to contact the appropriate authorities and, if necessary, even ban the offending adult from entering the school grounds. We trust that parents and carers will assist our school by abiding by the guidance and we thank you for your continuing support of the school. Social media websites are being used increasingly to fuel campaigns and complaints against schools, Headteachers, school staff, and in some cases other parents/pupils. Bempton Primary School considers the use of social media websites being used in this way as unacceptable and not in the best interests of the children or the whole school community. 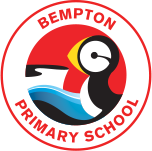 In the event that any pupil or parent of a child being educated at Bempton Primary School is found to be posting libellous or defamatory comments on Facebook or other social network sites, they will be reported to the appropriate 'report abuse' section of the network site. All social network sites have clear rules about the content which can be posted on the site and they provide robust mechanisms to report contact or activity which breaches this. The school will also expect that any parent or pupil removes such comments immediately. In serious cases the school will also consider its legal options to deal with any such misuse of social networking and other sites. Additionally, and perhaps more importantly, is the issue of cyber bullying and the use by one child or a parent to publicly humiliate another by inappropriate social network entry. We will take and deal with this as a serious incident of school bullying. Thankfully such incidents are extremely rare. We aim to resolve your concerns amicably however if you do have any concerns please contact the class teacher in the first instance. If the matter remains unresolved it will be dealt with by the Deputy Head with referral to the Headteacher or the Chair of Governors if necessary, so it can be dealt with fairly, appropriately and effectively for all concerned.